Who doesn’t love cake???? The Great British Bake Off is the most popular show on UK TV and people everywhere are extolling the virtues of a good cake! Cake can do more than just taste good. 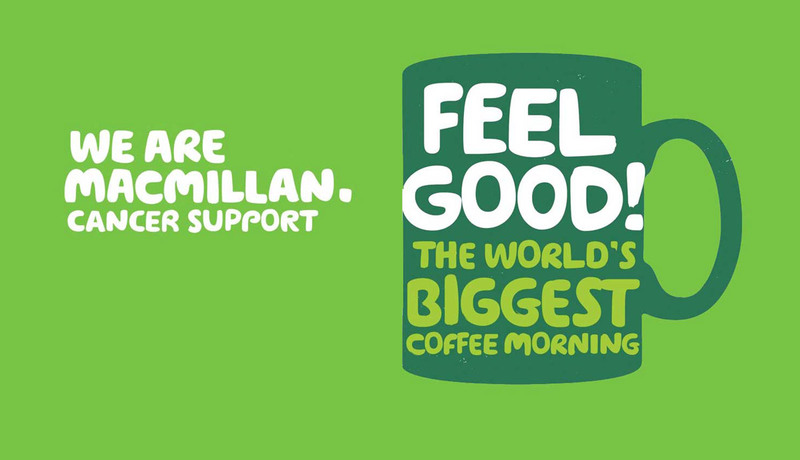 Every September, the UK charity Macmillan Cancer Support holds the biggest coffee morning in the world – and since 2013 there has been a Second Life version of the event hosted by Saffia Widdershins of Prim Perfect Magazine and Designing Worlds. In 2013, we held a very special coffee morning at Prim Perfect, where we raised £107.00 (over US$164) through the sale of virtual cake> – and over the last three years we have raised nearly £400 (that’s over US$525) – all through the sale of virtual cake! This year we want to make this bigger and better than ever! Once again, this year on September 30th, we will be hosting a coffee morning at the Prim Perfect Head Office – and we are inviting people across the grid to join us by holding coffee mornings of their own – in their stores, cafes, and virtual homes. Some people made really exquisite Second Life cakes that you could take to display in your own kitchen. Others made simple cakes using the beautiful templates made by Reven Rosca at Meshopotamia, or even simply gave us a recipe and we made the cakes for them. So, you see, anyone can take part! More information to follow soon but if you’re interested in holding a virtual coffee morning at your club or store please let Kess Crystal or Saffia Widdershins know.